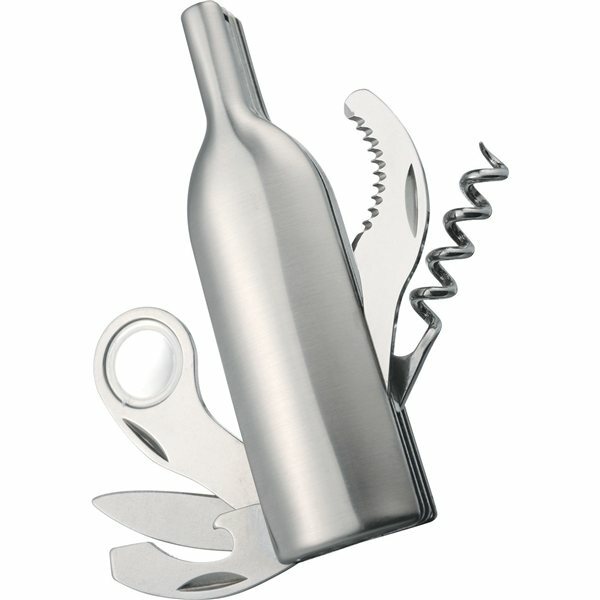 Functions include corkscrew, bottle opener, knife blade, serrated blade and magnifying glass for label reading. 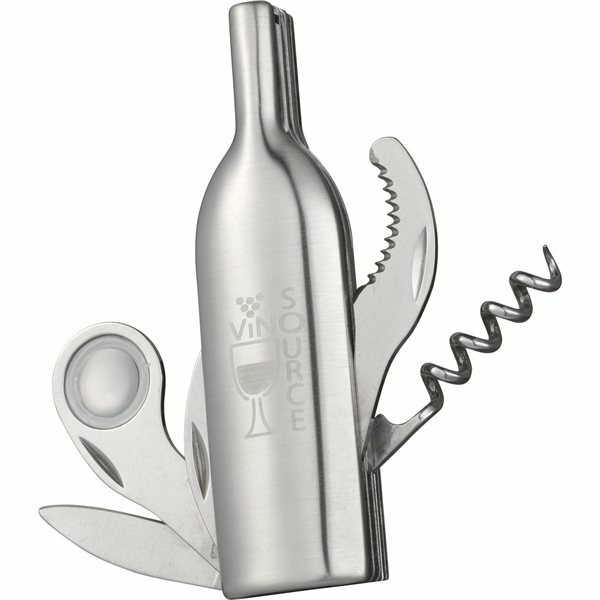 It is a bit different size: We will keep trying- to see how it works for my wineries. 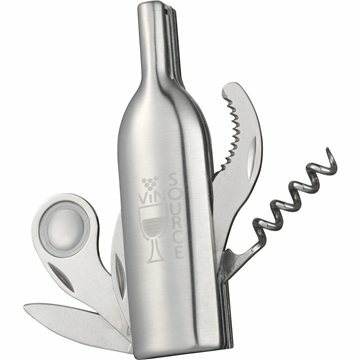 We are giving out for the wineries and restaurants and will keep using one to see how it works before event! Product was delivered on time. Great qualify and functions just as advertised. Really happy with the way the color imprint looks! The quality was great however it was still being very economical. I would have preferred being able to order a smaller quantity but understand that minimum order quantities have to be set for production efficiency.